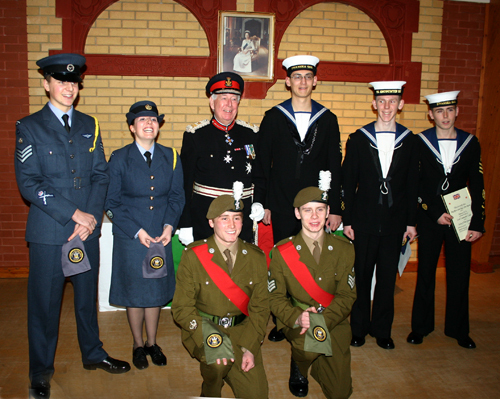 The Lord Lieutenant, Commodore Bob Hastie is pictured with his team of Lord Lieutenant Cadet's for 2008 - A Cut Above ! 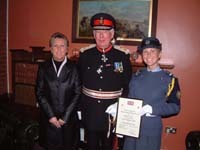 awarded ICWO Carly-Jayne Schuneman (f) with her Lord Lieutenant's Badge of office for 2007.
year of office throughout 2006. 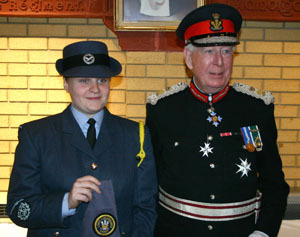 The Lord Lieutenant of West Glamorgan, Commodore RC Hastie, presented Instructor Cadet Flight Sergeant Rhianon Prosser (f) with her Lord Lieutenant's Cadet Award for 2005. 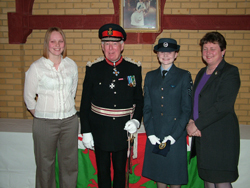 This accolade rewarded her outstanding commitment to the Air Training Corps and her many achievements with the Squadron and No 3 Welsh Wing. 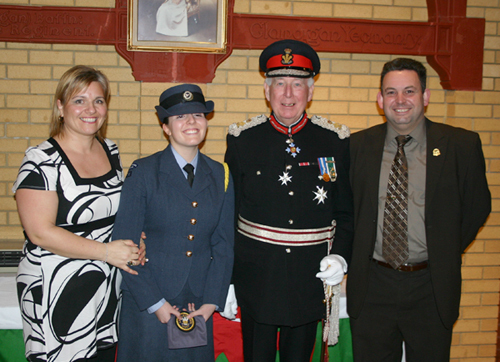 The evening was a double celebration for Rhianon as her father, Warrant Officer John Prosser was also presented with his Lord Lieutenant's Certificate of Meritorious Service for his long and distinguished service in the Territorial Army. 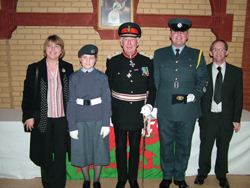 The Lord Lieutenant of West Glamorgan, Commodore RC Hastie, presented Instructor Cadet Warrant Officer Louise Thomas (f) with her Lord Lieutenant's Cadet Award for 2004. 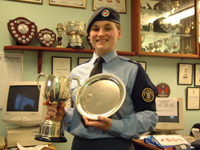 This accolade rewarded her outstanding commitment to the Air Training Corps and her many achievements with the Squadron and No 3 Welsh Wing such as: Tipper Drummer of Smartest Band in ATC for 2001, 2002 and 2003, Gold DOE and 200hr Millennium Volunteers Award to name just a few. 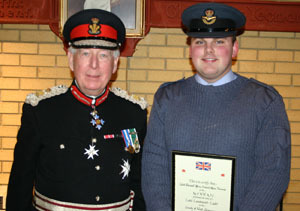 The Lord Lieutenant of West Glamorgan, Commodore RC Hastie, presented Instructor Cadet Warrant Officer Barry Garnham with his Lord Lieutenant's Cadet Award for 2004. 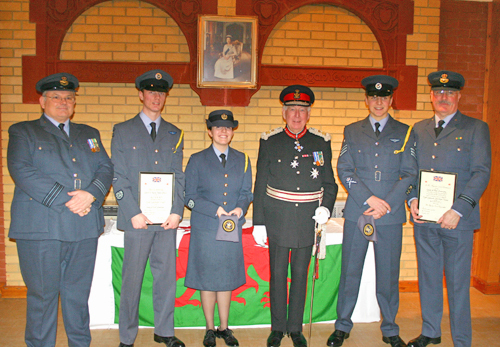 This accolade rewarded his outstanding commitment to the Air Training Corps and his exemplary achievements with the Squadron, No 3 Welsh Wing and the Air Training Corps. 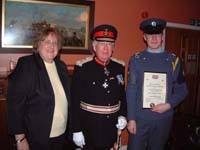 The Lord Lieutenant of West Glamorgan, Commodore RC Hastie, presented Cadet Warrant Officer Aime Davidson (f) with her Lord Lieutenant's Cadet Award for 2003. 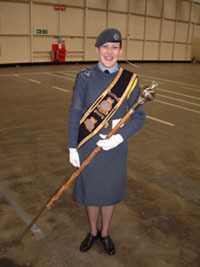 This accolade rewarded her outstanding commitment to the Air Training Corps and her exemplary achievements with the Squadron's Nationally acclaimed Military Marching Band. 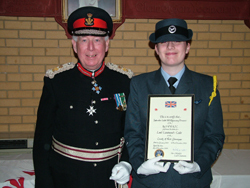 with her Lord Lieutenant's Cadet Award for 2002. 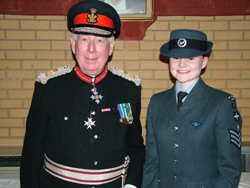 This accolade rewarded her exemplary achievements and awards within the Air Training Corps. 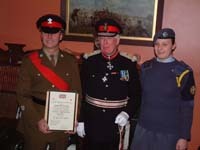 with her Lord Lieutenant's Cadet Award for 1999. 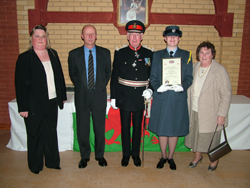 This accolade rewarded her outstanding commitment to the Air Training Corps and her many achievements with the Squadron and No 3 Welsh Wing. 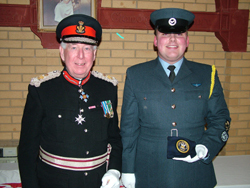 and holds the rank of Flying Officer at 1998 (West Cross) Squadron.